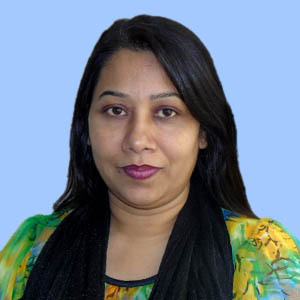 Masura Parvin (Ruma) has joined Bangladesh Maritime Training Institute (BMTI) on 2nd April 2007 and serving till date as a full time employee. She completed her graduation (BA. Pass) under National University,Dhaka. Before joining into our Institute she has served as a Visa Consultant Officer of Haque & Sons Ltd. (Shipping & Ship Crew Manning Agency), Uttara-Dhaka-1230. Since February 2002 to July 2005. Her responsibilities to maintain course co-ordination and administrative assistance on the documentation of the institute include course evaluation and obtaining feed-back from trainees and addressing issues and after completing the course prepare documents for certification, Good command in computer operating (Ms. Word, Ms. Excel, Power Point etc. ), E-mailing of various office documents to the Department of Shipping and another office also.